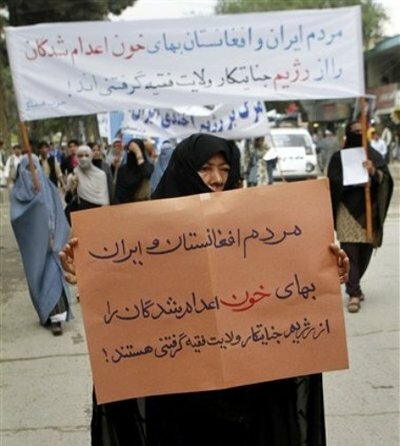 Hundreds of Afghans have demonstrated against alleged ill-treatment and executions of a number Afghan refugees by the Iranian authorities. 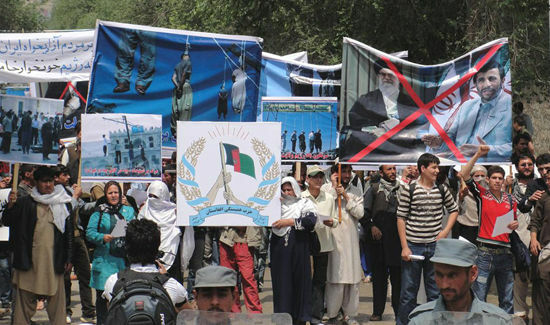 Their protest follows a recent visit by a delegation of Afghan MPs to Iran to assess the plight of one million Afghans who live in the country. Several thousand have been arrested by the Iranian authorities and hundreds are reported to be on death row. 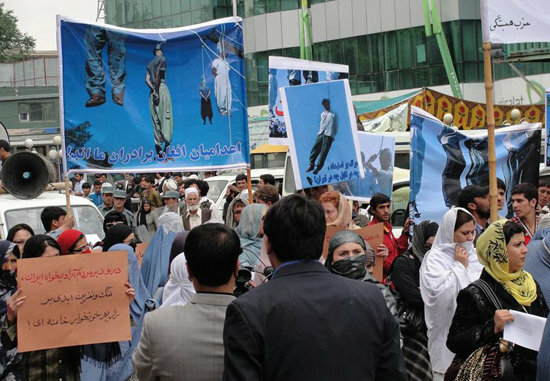 Some MPs say more than 50 Afghans have been executed by Iran in recent weeks. 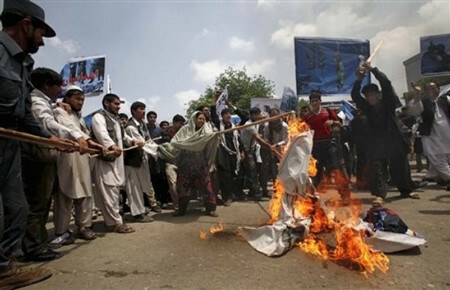 But Afghan foreign ministry spokesman Zaher Faqiri said on Thursday that only six Afghans had been executed in Iran. However, between 4,000 and 5,000 Afghans were in Iranian jails, he confirmed. 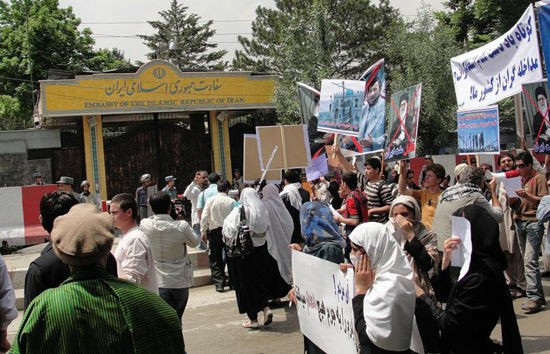 The treatment of Afghans in Iran has caused much concern in their home country, correspondents say. A similar demonstration was held last week. Iran received millions of refugees during the Soviet occupation of Afghanistan and the later civil war. 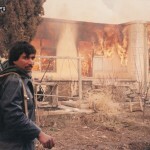 In recent years it has been deporting some of them back to Afghanistan. 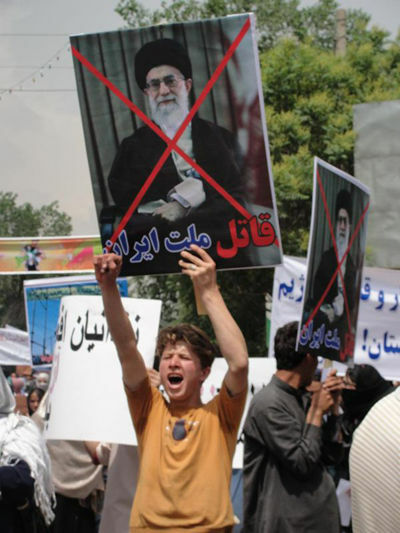 Tehran opposed the Taliban regime toppled by the US-led invasion of Afghanistan in 2001. It has since experienced a rise in drug use as easily-available heroin from Afghanistan flows across the border. 60 Minutes spoke to one (smuggler) in Pakistan who said 35 percent (of children smuggled), at most, would make it to Europe.